Mum of one, uni student, off key singer, two left feet, accident prone, follower of the heart not the head, facebook addict and all round nice girl! I’m Jen and I am a single mum of a wonderful little boy who is my life and soul. I’m also a uni student studying Social Work as I would love to make a difference in the world. I have a wide range of interests from business studies, music, movies, books, sports… and well you get the picture. I’m smarter than I seem. I have trouble getting words out of my head and onto paper or even out in speech. I have been know to suffer from foot in mouth on more than one occasion because of this. So why am I writing a blog? I have tried and started many times but seem to loose interest. I just want a space where I can try and get my thoughts out and a place where I can share things that I like. I don’t expect this to become a well known blog. in fact i don’t expect any one but me to read this. As long as I get the opportunity to share some things I love and just write about random stuff. 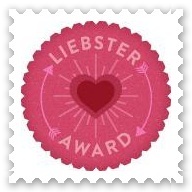 I nominated you for a Liebster Award!! 😀 Awesome!! 🙂 I know what I will be doing Saturday now!